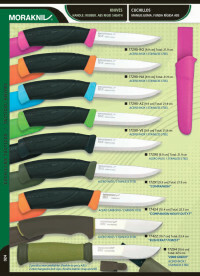 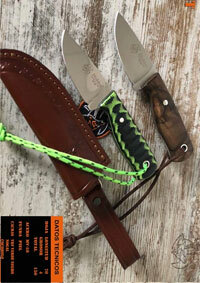 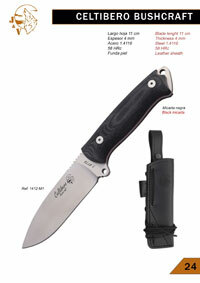 AZERO 239221 survival knife . 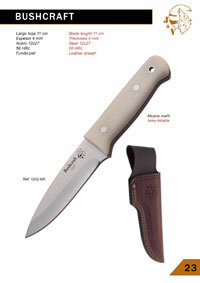 This is an ACX-380 steel knife with micarta canvas handle. 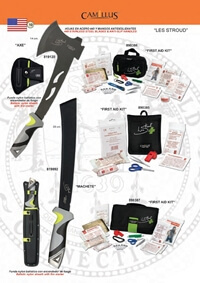 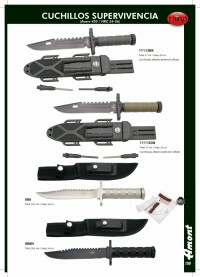 Includes Cordura sheath with MOLLE system. 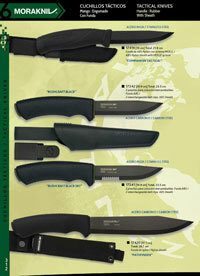 Knives MT-5. 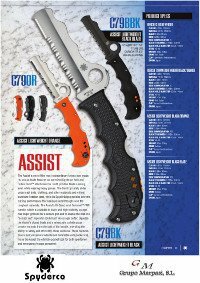 11cm blade. 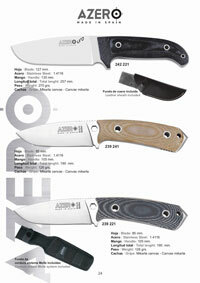 5mm thickness. 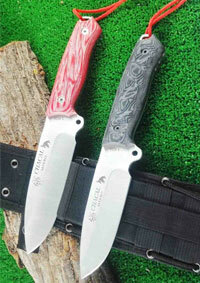 120-B Micarta bone and red. 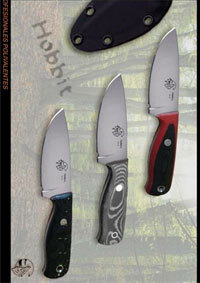 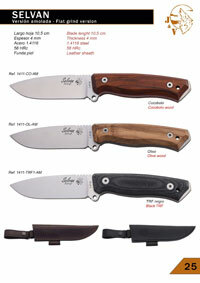 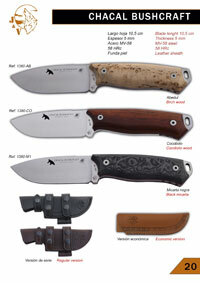 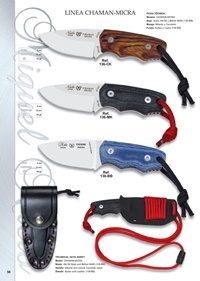 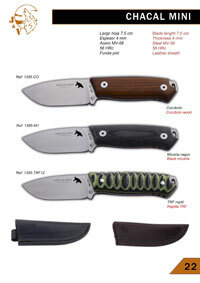 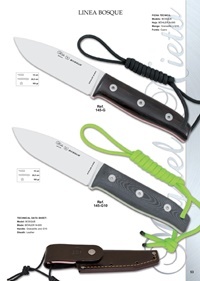 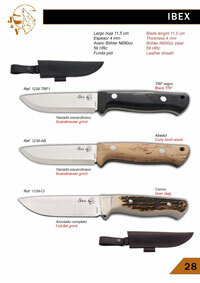 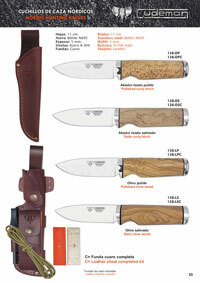 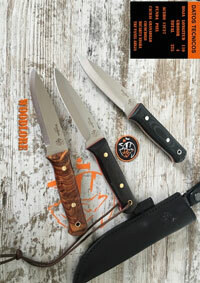 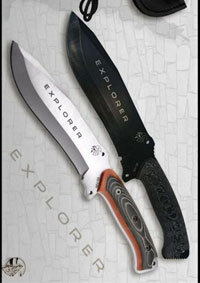 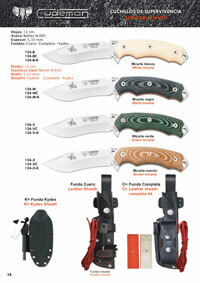 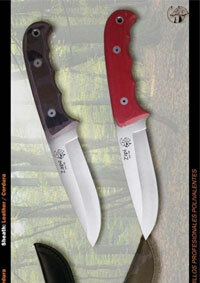 Adventure and survival knives Bushcraft, MT-5, MT-1 and MINI-BV, made with Böhler N695 steel. 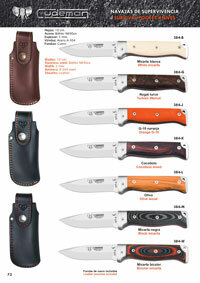 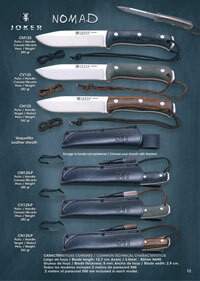 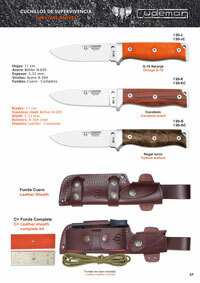 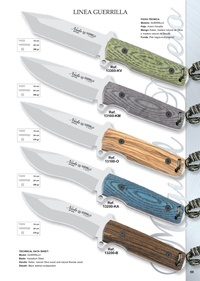 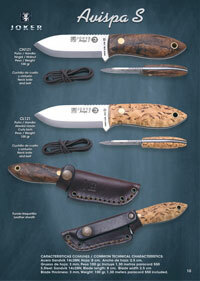 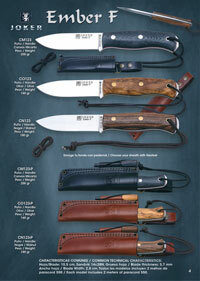 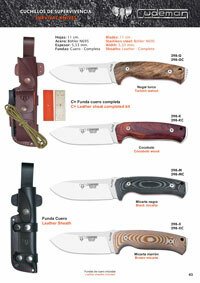 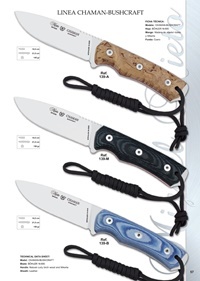 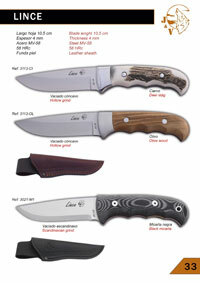 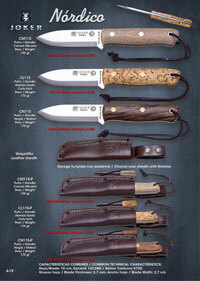 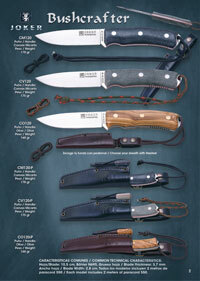 All models include a leather sheath. 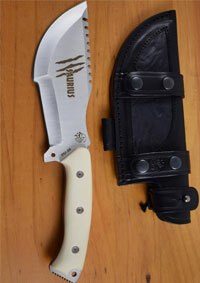 Survival and adventure machetes SVK II, with MOVA steel and black micarta or orange G-10 handle, with leather sheath included. 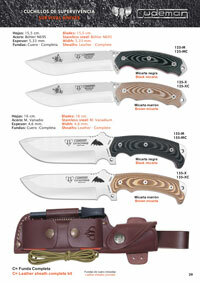 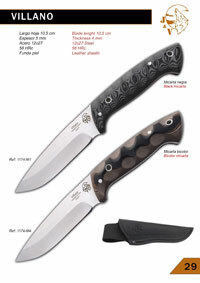 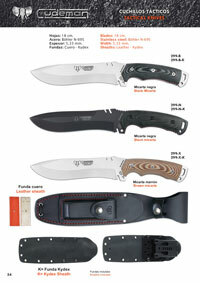 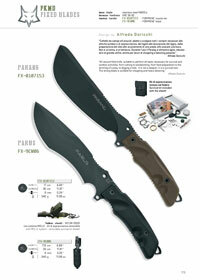 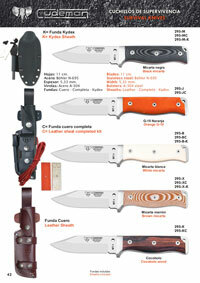 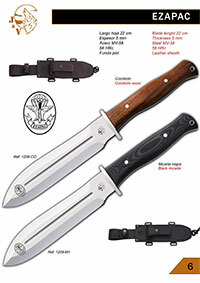 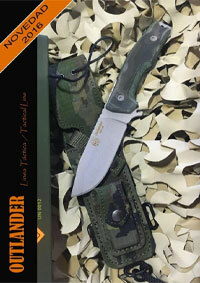 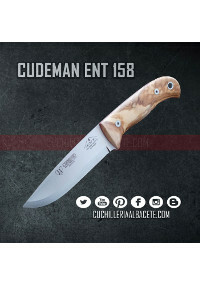 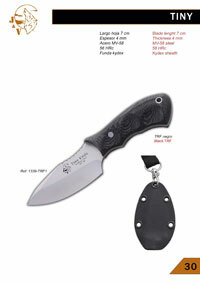 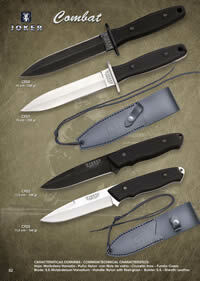 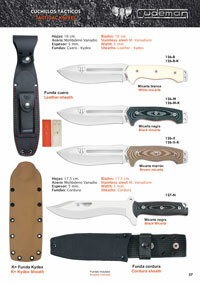 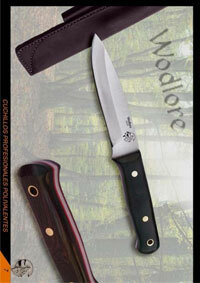 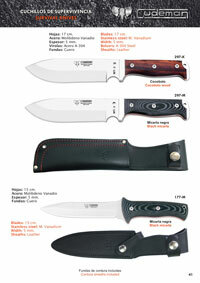 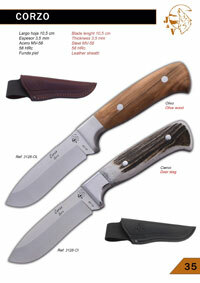 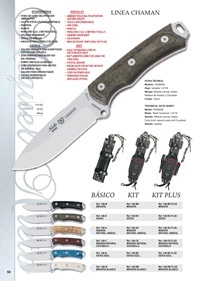 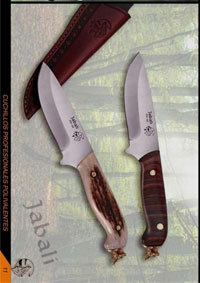 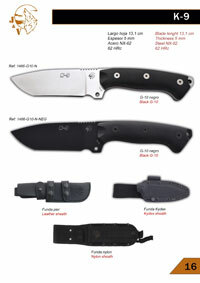 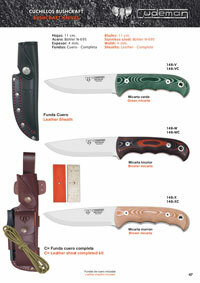 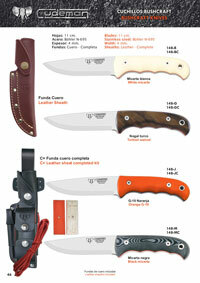 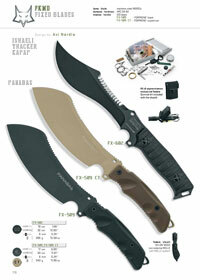 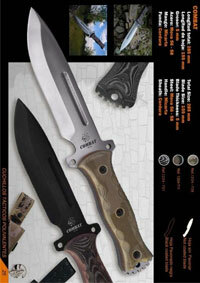 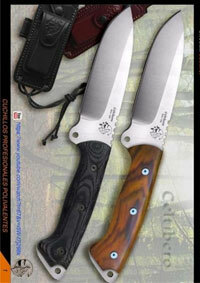 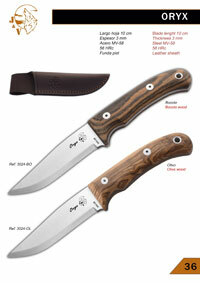 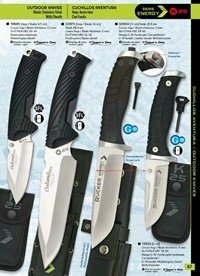 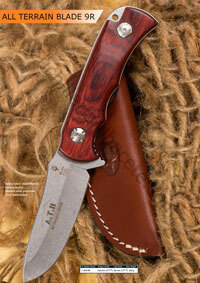 - Recon 171-F : Böhler N-695 steel blade 18 cm long and 5 mm thickness and leather sheath. 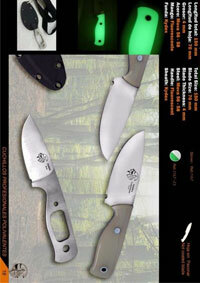 Steel Sheet 440. 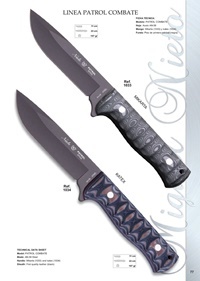 Fist of nylon with fiberglass. 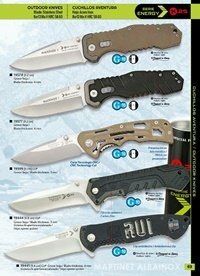 stainless spreader. 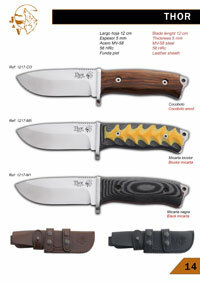 Case sanity. 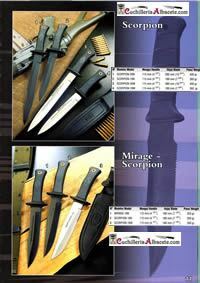 JOKER knives. 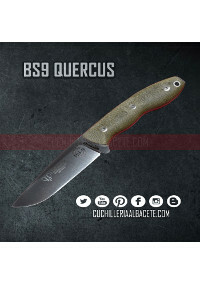 Avispa S. BS9 series. 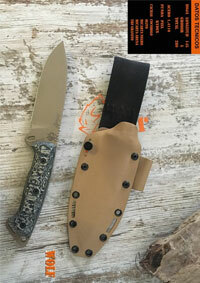 Sandvik 14C28N steel blade. 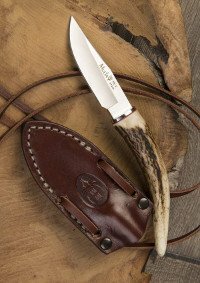 Leather case. 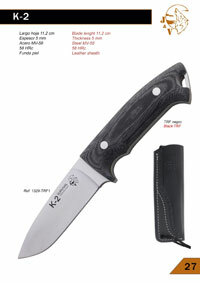 Blade length: 11.2 cm. 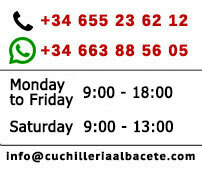 Thickness: 5 mm. 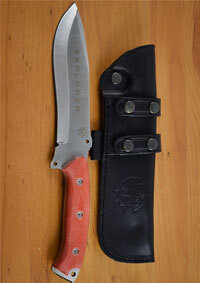 Total length: 23.9 cm. 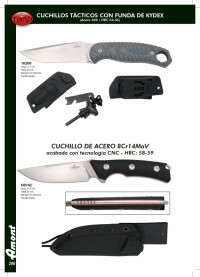 Steel: MV-58. 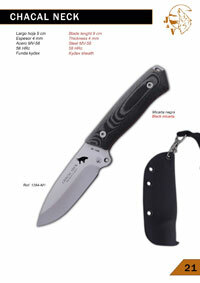 Blade width: 3 cm. 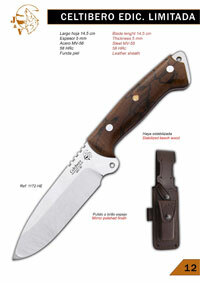 Weight: 381 grs. 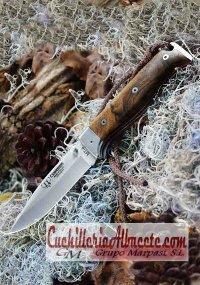 SV2 survival folding knife with MV-58 steel and cocobolo wood grips. 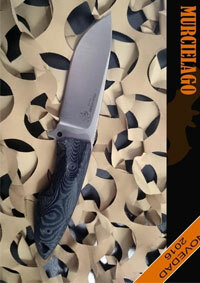 Tang blade thickness 4.50 mm. 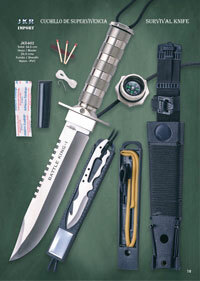 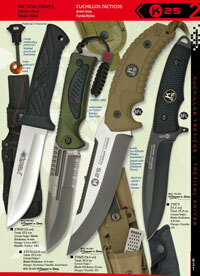 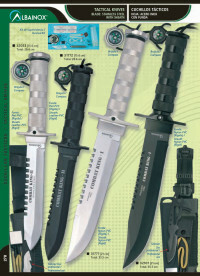 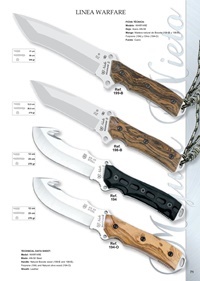 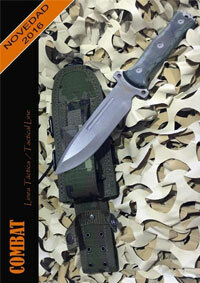 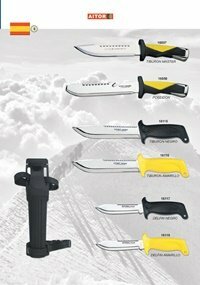 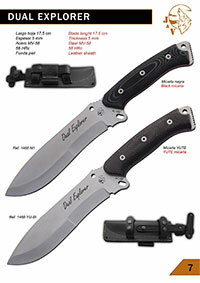 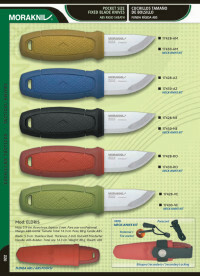 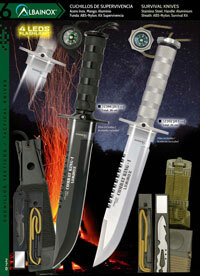 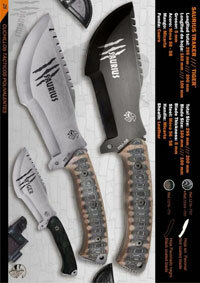 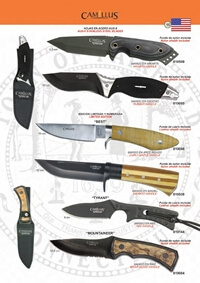 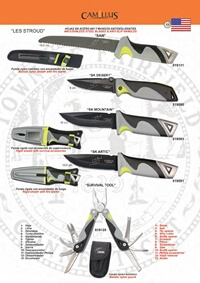 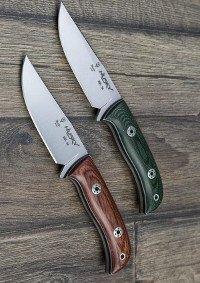 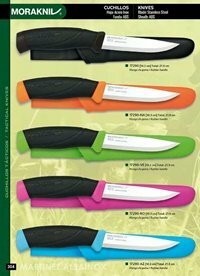 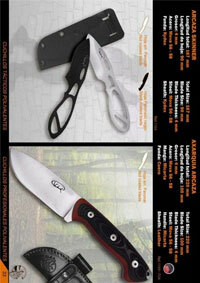 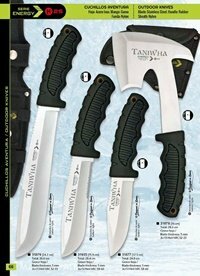 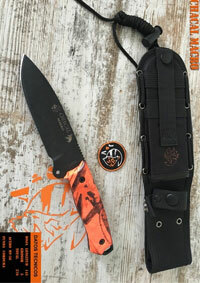 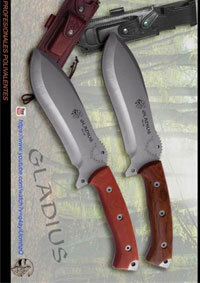 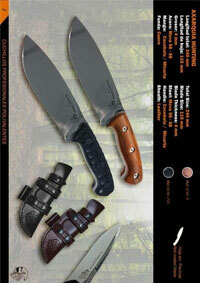 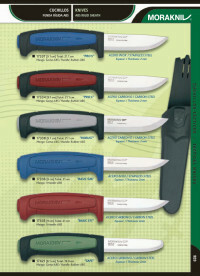 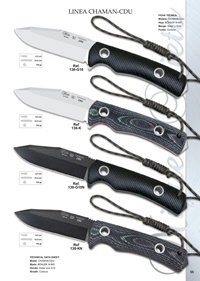 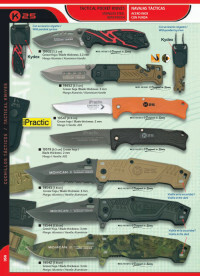 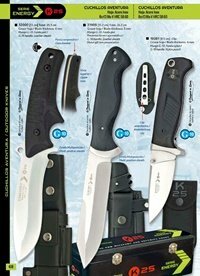 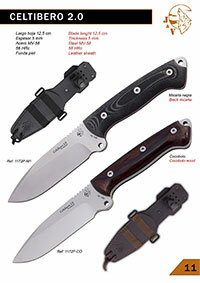 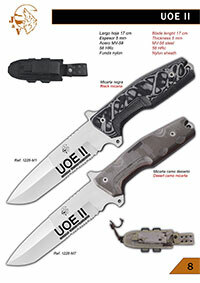 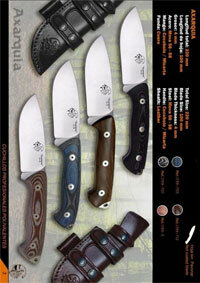 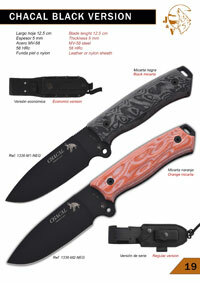 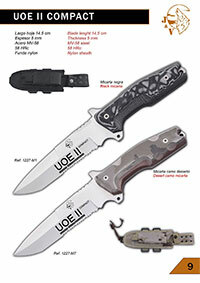 Tactical and survival knives with M. Vanadium steel. 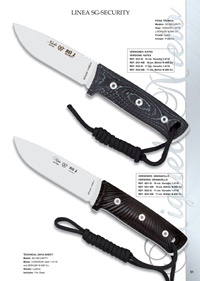 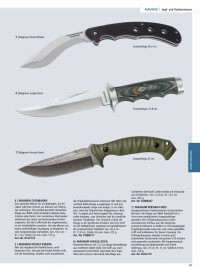 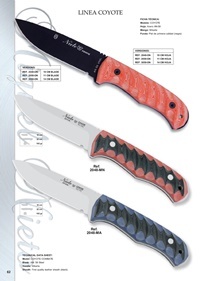 WARFARE 4, 8 and 9 "M. Nieto knives". 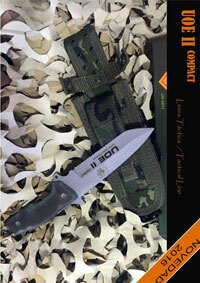 Cover of skin of first quality black. 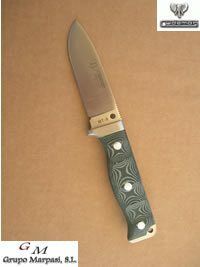 Leaf: 11 cm. 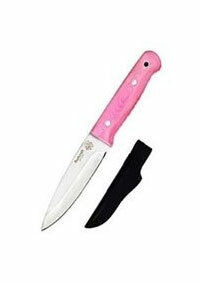 Total length: 22 cm. 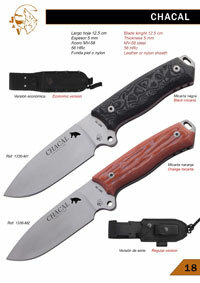 Weight: 197 grs. 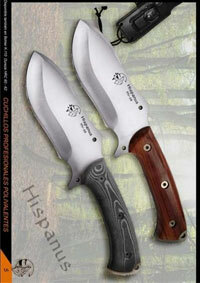 Handle: Mikarta. 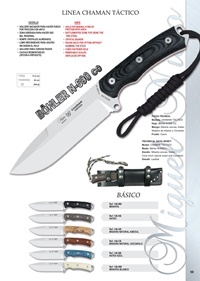 Knife M. Nieto. 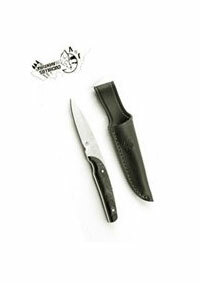 Line "Chaman micra"
Total length: 12 cm. 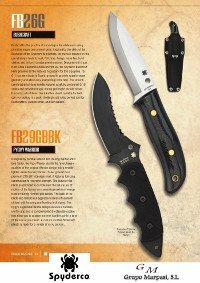 Weight: 82 grs. 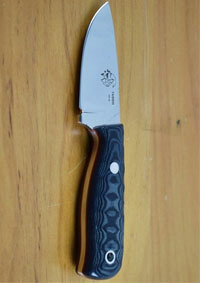 Length of leaf: 6 cm. 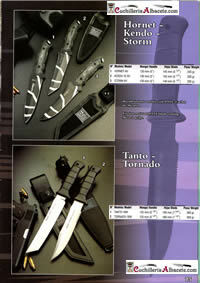 Knives M. Nieto. 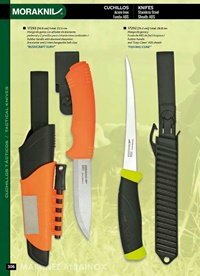 SG2 Security line. 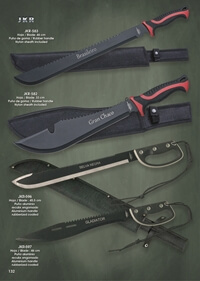 Black Mikarta Canvas Centes (SG-2 M), Granadillo Natural Wood (SG-2 G) or Katex Camo (SG-2 C), customized in 3D. 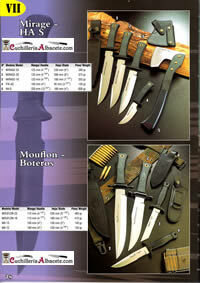 Knives M. Nieto. 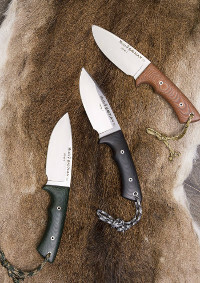 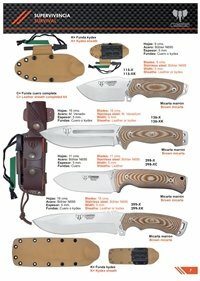 Bushcraft Shaman Line. 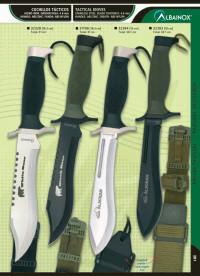 Total length: 21.5 cm. 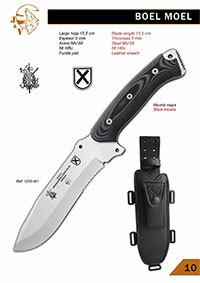 Length of blade: 10.5 cm. 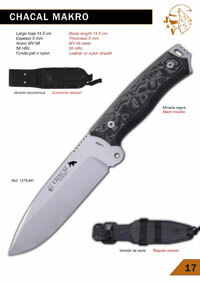 Weight: 145 gr. 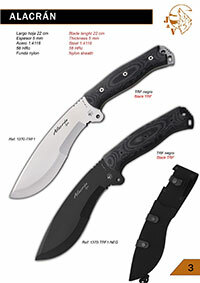 Blade: Böhler N695 steel. 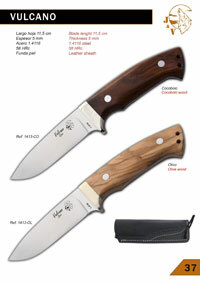 Leather case included. 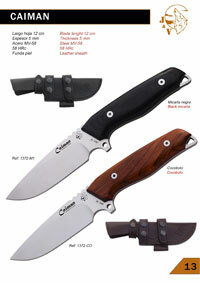 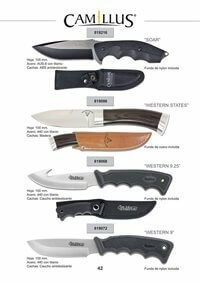 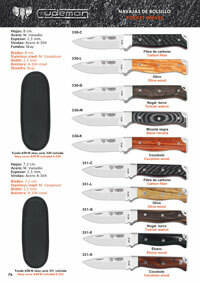 Nieto Chaman Macro XXL knife. 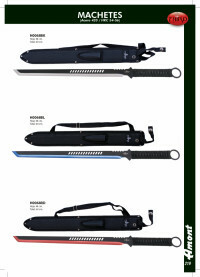 Length of sheet: 8.5 cm. 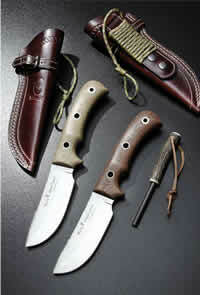 Includes: leather and flint case. 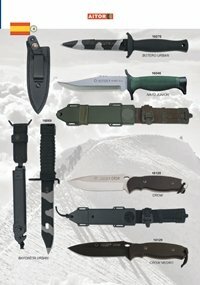 SG-1. 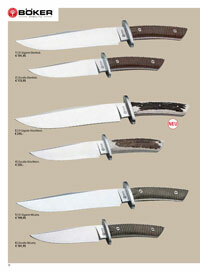 -> Sheet: 10 cm. 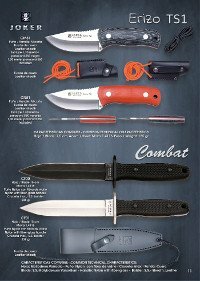 SG-2. 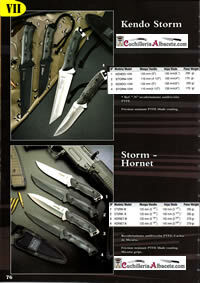 -> Sheet: 11 cm. 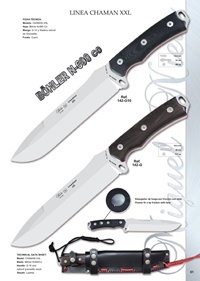 Blade: Böhler steel N-690 Co. 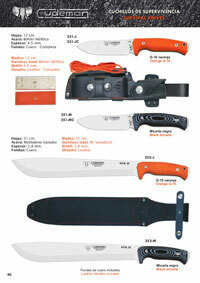 Length of sheet: 11.5 cm. 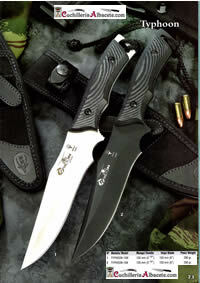 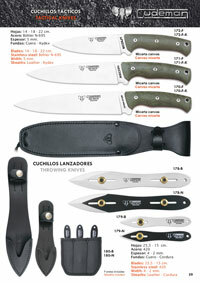 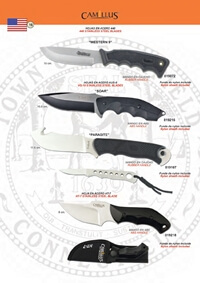 Spyderco Combat & Survival knives.